You can refer to the document link for the 2018-2019 Officers for each of our parent groups. We'll be posting meeting dates and times to the document once the school year begins and the groups get organized. We have a central PTO for our three elementary buildings, as well as Directors and Liasons for each building. 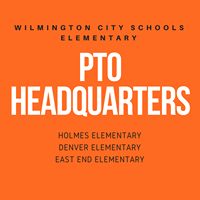 Parents, grandparents, and guardians are encouraged to reach out to our PTO if you have an interest in supporting the education of our WCS students. Check out their Facebook page @WCSElementaryPTO to stay connected. At the Middle School level we have an Academic Boosters Club (ABC). The ABC Mission Statement: Improve the lives of our children and their wellbeing, through commitment, involvement, and dedication to their education and their world. The ABC meetings dates will be posted once the school year begins. Athletic Boosters: The Wilmington City Schools Athletic Boosters Club is a non-profit organization that is committed to uniting students, parents, coaches, faculty, staff, alumni and community in supporting ALL athletes. We work together to enhance school spirit and provide monetary support to continue a rich tradition of quality student athletics. Vocal Music Boosters: The Wilmington Vocal Music Boosters is a non-profit organization that helps support the students of the Wilmington Choir Program. Their purpose is to create and maintain a high interest in the activities of the vocal music program for the sixth through twelfth grades of the Wilmington City Schools,to provide financial support, and to encourage participation in vocal music activities.T his organization is open to all Wilmington Choir Parents and usually meets the second Thursday of each month in the high school library at 6:30pm. A full schedule of meetings is available on the choral website. For meeting information please see VMB Meetings. You can also learn more about our Vocal Music Program 2018-2019 here. Wilmington Band Club (Boosters): The Wilmington Band Boosters are passionate about Music Education. They provide support to all of our 370 students in the Band program Grades 6-12. This support is in the form of securing financial needs of the program, assisting with fundraising, serving as chaperones, and assisting the PRIDE of Wilmington Marching Band during games, contests, and events. Learn more on our Wilmington Band Club page.